Ever since allegations that Saddam Hussein's WMD program were "sexed up" to give the UK reason for joining the 2003 US-led invasion of Iraq, the BBC has been "cowed," a claim that seemed vindicated following last month's US attack of an Afghan hospital. 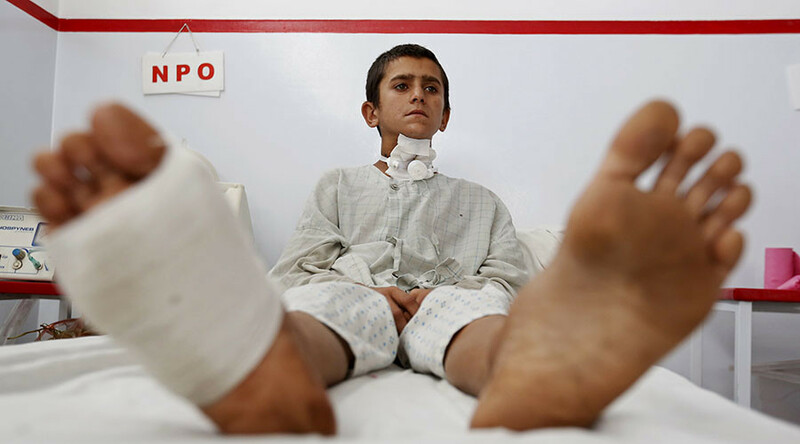 On October 3rd, the US carried out a sustained bombing raid on a Medecins Sans Frontiere hospital in Kunduz, Afghanistan. The attacks continued every 15-minutes for over an hour and involved five separate strafing runs. By the time it was over, at least twenty two people had been killed. US officials initially claimed the attacks were an accident. However, this was refuted by MSF, who pointed out that not only were the US fully aware of the precise coordinates of the hospital, but that they had also called the US army during the strike itself begging them to stop, to no avail. So why was it that on October 15th, the BBC News at Ten was still claiming that the hospital had been “mistakenly bombed” by the US – a claim disputed by MSF from the start, and which even US officials themselves later admitted was a lie? To answer this question requires an appreciation of the way in which the BBC has, over many years, been cowed and intimidated into an attitude of almost total subservience towards the foreign policy agenda of Britain and its allies. Yet within this framework there was, for a time, some degree of freedom to make programs that challenged the status quo. Thatcher installed the “fiercely anti-union” Marmaduke Hussey as BBC Chairman, and, following discussions with Rupert Murdoch, Douglas Hurd and security advisor Victor Rothschild, forced Alasdair Milne (Seumas’s father) to resign as director general. The move had its intended effect. Of course, the message still needs reiterating from time to time. Shortly after the 2003 invasion of Iraq, BBC Radio Four’s Today program broadcast an interview with the journalist Andrew Gilligan in which he claimed that the British government had “sexed up” its notorious ‘intelligence dossier’ on Iraqi weapons, deliberately including information it “probably knew” was untrue. We now know such claims were entirely correct. But Alastair Campbell, Prime Minister Tony Blair’s Director of Communications desperately sought blood. An inquiry was launched, with a suitably supine judge appointed to lead it; Lord Hutton was a former Lord Chief Justice of Northern Ireland, who had presided over the system of notorious ‘Diplock courts’ which abolished the right to trial by jury (The Diplock courts had been an innovation of Brigadier Frank Kitson, whose manual on counter-insurgency instructed that “the activities of the legal services have to be tied into the war effort in as discreet a way as possible). Hutton proved himself true to his mentor’s understanding of ‘judicial neutrality’ – and its disposability in matters of war. During the inquiry, it was revealed that the wording of the dossier had indeed been altered to make a stronger case for war; that Alastair Campbell had requested these changes himself; and that the serious reservations of Intelligence experts about the intelligence presented was indeed known to the government. Nevertheless, Hutton’s conclusions completely exonerated the government, concluding that Gilligan’s accusation of “sexing up” the dossier was “unfounded”, and that the BBC’s editorial and management processes were “defective”. Effectively, the BBC was being told: yes, what you reported was true; but how dare you broadcast it? The BBC was breaching another of Brigadier Kitson’s principles – that it is not only “legal services” that “have to be tied into the war effort” – but media as well. The Director-General, Greg Dyke, and the Chairman Gavyn Davies were forced to resign; whilst those who had fabricated evidence in order to justify an illegal war of aggression got off, and continue to get off, scot-free. 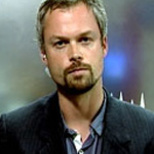 Kevin Marsh, the Today program editor at the time of Gilligan’s broadcast, agreed there had been what the Independent called a “chilling effect on the BBC’s reporting” and noted that the new Deputy Director General Mark Byford, placed in charge of journalism, was “very cautious”. 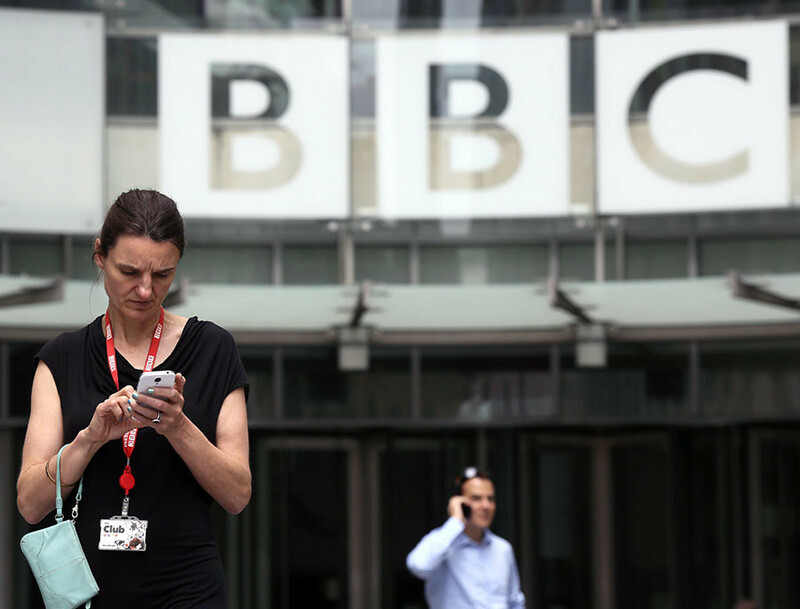 Threats to funding are another good way the government can keep the BBC’s reporting ‘in line’ (whilst always, of course, maintaining the appearance of ‘hearty debate’). As already noted, Seumas Milne reports that “manipulating the license fee” had been a means of “ensuring compliance" in the 1980s; and so too today. 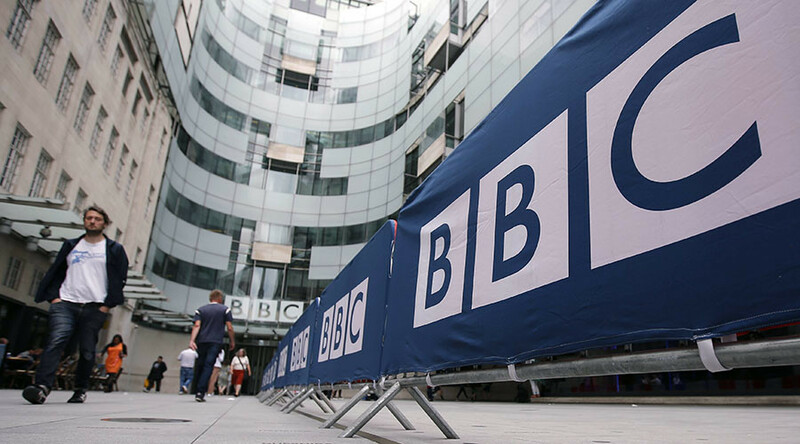 With the ten-year renewal of the BBC’s charter looming, David Cameron remarked to a busload of journalists shortly before this year’s general election that he was “going to close down” the BBC. And it bore results. Even the BBC’s so-called ‘attack dog’, John Humphrys of the Today program, has proved himself extraordinarily adept at avoiding the real issues. When he interviewed David Cameron in the days following the murder of thirty eight tourists at the beach resort of Sousse in Tunisia on June 26th of this year, for example, Britain’s destruction of neighboring Libya was not even mentioned. This is despite the fact that Libya had been the origin of just about every other terrorist attack in North Africa since 2011 – from the Al-Amenas attack in Algeria, to the storming of Timbuktu in Mali in 2012, to the growth of Boko Haram in Nigeria, to the Bardo museum attack in Tunisia itself just three months earlier. Indeed, the day after that interview, the Tunisian authorities revealed that the Sousse attacker had, too, trained in Libya. But that was no surprise. Every serious analyst knows that the massive increase in the capability of the region’s death squads in North Africa is a direct consequence of Cameron’s war on Libya, which effectively handed control of the entire country – along with its arms depots – over to the region’s paramilitaries. Does John Humphrys honestly not know any of this? Or does he just understand that he is not to raise it? To question the war on Libya is, it seems, completely taboo on today’s BBC. However, the Cameron interview did produce results. Of the Al-Qaeda splinter group brought to power by British and US destabilization of Iraq and Syria (again, not mentioned by Humphrys), Cameron said: “I wish the BBC would stop calling it Islamic State.” But that is what they call themselves, Humphrys pleaded. “So-called [Islamic State]…would be better,” Cameron replied. The BBC have referred to them as “the group calling themselves Islamic State” ever since. On the one hand, of course, Cameron’s argument that they are neither Islamic (as understood by the majority of Muslims), nor are they a state is correct. Yet his indignation is hardly consistent. After all, his own organization, the Conservative Party should, by rights, have fallen foul of the Trade Descriptions Act long ago. Genuine conservatism, as its founder Edmund Burke well understood, was about opposition to radical - and especially revolutionary - change, on the grounds that it undermined stability, tradition and social order. He was vehemently opposed, for example, to the nature of British colonial rule in India for precisely its destructive impact on a civilization he argued demanded respect. No one who believed in such a philosophy could ever support wars of ‘regime change’ such as those wrought on Afghanistan, Iraq or Libya; yet John Baron was the sole Conservative MP to vote against the attack on Libya. Should the BBC, then, not be referring to Cameron’s organization as the “group calling itself the Conservative Party”? I recently lodged a formal complaint with the BBC about their coverage of Syria. I was not really expecting it to be upheld - after all, guess who was adjudicating the complaint? None other than the BBC itself (being the only broadcaster officially exempt from investigation by Ofcom, the official regulatory body). But their grounds for rejecting my complaint were most revealing. I had complained about their broadcasting, without comment, of a claim that President Assad had used chemical weapons in the suburbs of Damascus in August 2013 when, I argued, this was far from proven. The UN investigation team had only found that chemical weapons had been used, but had not attributed blame (and had no brief to do so). However, I pointed out, the leader of a previous UN team, Carla Del Ponte, had earlier in the year suggested that it was the Syrian opposition, not the government, that had been using such weapons. Furthermore, the authors of an independent investigation by scientists at the Massachusetts Institute of Technology had concluded that "We do not claim to know who was actually behind the attack of 21 August in Damascus. But we can say for sure that neither do the people who claim to have clear evidence that it was the Syrian government." The BBC’s response was that whilst “You are right to point out that the UN did not establish that the Syrian government was responsible…. Nevertheless a number of governments concluded that the Syrian government was responsible.” Guess which governments? No prizes here – they mention only three: The UK, the US and France; that is, the three leading cheerleaders and patrons of the terrorist war against Syria, who had been desperate for a legal veneer to a bombing raid on that country since 2011, and who therefore had every interest in portraying the Syrian government as the perpetrator; and at least two of whom had very recent ‘form’ in manipulating intelligence for the purposes of justifying war. Yet, for the BBC, their judgments – which had even been opposed by the authors of the study from which they claimed to have derived them – are, apparently, unassailable. It is as if nothing has been learnt from Iraq. But, of course, the reality is that the BBC has indeed learned their lessons from Iraq – or rather from Hutton - only too well: foreign policy can be ‘debated’ of course: but only in terms of its wisdom. Its ‘intelligence findings’ must never be questioned – and certainly not its noble aims.